the first trailer looks great, doesn't give away too much or even reveal the main baddie, i like that! i want to be surprised when i go to the theater. 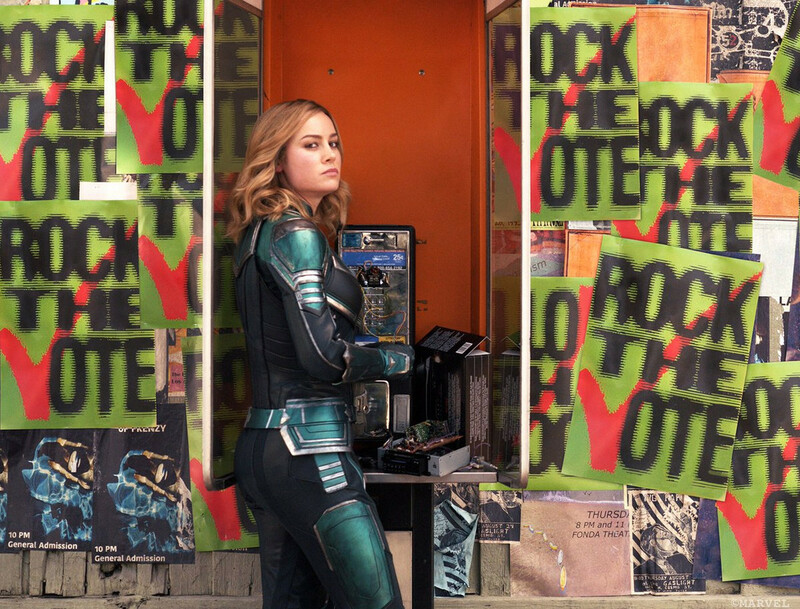 for those of you comic readers who are less than thrilled with the messy, aimless, convoluted history of Ms Marvel/Cap Marvel, this is the MCU version of the mid 2000s Carol Danvers incarnation, and maybe the Jude Law character is Mar Vell, we still don't know. anyway, i'm going to see it! Last edited by Crickett; 10-04-2018 at 03:54 PM. ^ nice! Captain Marvel is gonna be a great addition to the MCU! You're really looking forward to this movie, aren't you Ja'k? i have seen it in both regular format and Real-3D, now going to see it in IMAX. i have seen it three times now, 2D, Real3D, and IMAX, great film! Cap Marvel made $760 Million Dollars Worldwide Boxoffice in 12 days. Cap Marvel is currently at $1.064 Billion Dollars worldwide boxoffice! $390mil USA and $677mil international boxoffice. wow!